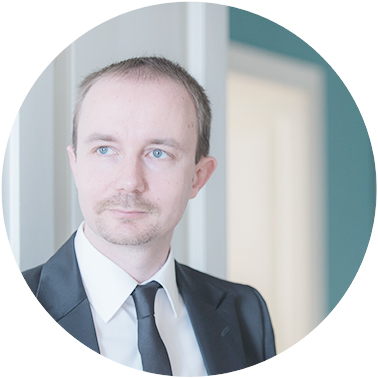 Dr. Johannes Hebenstreit has been awarded several merit scholarships and is the author of various publications. In addition, he has completed a number of courses in the fields of argumentation, rhetoric and presentation skills. From the very beginning, it is important for us to provide you with all the information you need – whether it is on possible solutions to your case, potential chances and risks or incurring costs. We believe that only well-informed clients are satisfied clients – and satisfied clients are the best advertising we can get. To preserve your interests in the best possible way, it takes professional counselling and representation skills. To guarantee this high level of professionalism, we continuously engage in advanced training. We believe that one constantly needs to improve to stay on top – and our clients can certainly expect top service. From our law firm, you can expect proactive, determined, precise and consistent counselling and representation. We not only offer a modern, friendly and contemporary office, but also fast and efficient solutions to your problems. Our efficiency is your advantage. we are also happy to help or put you in touch with a specialist in the respective field. 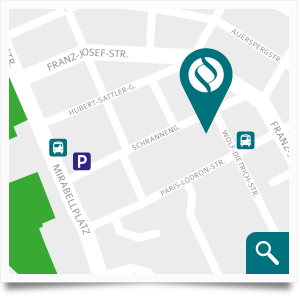 Dr. Hebenstreit’s services in the field of tenancy and property law include the drafting and reviewing of tenancy agreements as well as the legal representation of landlords and renters in case of dispute. In addition, our law firm specialises in the counselling and representation of property owners, owners’ associations and property administration companies in case of joint ownership disputes. Moreover, Dr. Hebenstreit can also advise with regard to operational cost account reviews and maintenance obligation matters as well as rent increase issues. 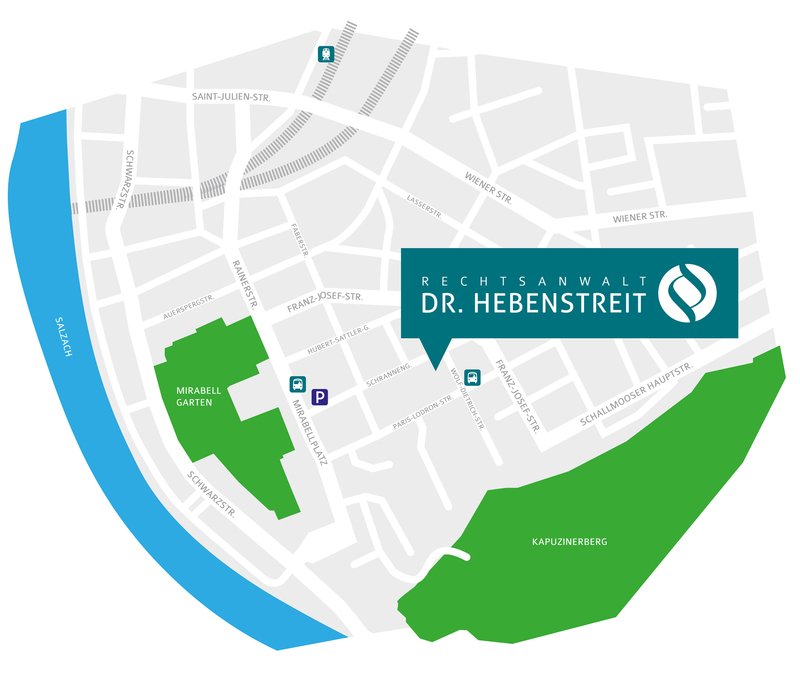 Dr. Hebenstreit offers a variety of services related to the purchase of apartments, houses or other real estate property, taking care of the entire process from the drafting of contracts to the acceptance of trusteeships and the registration of ownership in the land register. Our law firm consults and represents companies in all matters of commercial law, from business start-up to potential liquidation. We are also happy to consult you in all corporate transactions and disputes. We support you in the enforcement of any personal injury or property damage claim. A special focus lays on liability cases regarding medical malpractice, enforcing patient claims against insurance companies, hospitals and doctors or fending off unjustified claims. Dr. Hebenstreit has vast expertise in all debt collection matters and is happy to help you with debt recovery, attachment of earnings or forced sales. Our law firm is happy to support you with claim settlements following traffic accidents at home or abroad. Also contact us for questions regarding driver’s licence issues, hit and run claims or repair costs. Our services include the drafting and optimization of contracts as well as general terms and conditions. We also support you in the enforcement of all pertaining rights and obligations, such as matters of warranty, rescission or rectification. Our law firm offers many services not included in the abovementioned areas of expertise, so do not hesitate to contact us with your problem even if it is not expressly mentioned in this section. You are in need of legal advice but do not have the chance to drop by? We are also happy to talk to you in a SKYPE video conference – just get in touch and we will make arrangements. © Dr. Johannes Hebenstreit, 2016 | Please note that this website is tracked by Google Analytics.